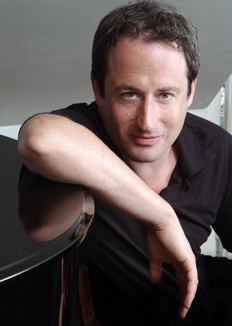 Concert pianist Itamar Golan performs with renowned soloists and ensembles throughout the world, and has established himself as an exceptional chamber musician. Born in Vilnius, Lithuania, at the age of one, he emigrated to Israel, where he later studied piano with Lara Vodovoz and Emmanuel Krasovsky, and performed in his first recital at the age of seven. From 1985 to 1989, he studied at the New England Conservatory in Boston under Leonard Shure and Patricia Zander and later studied chamber music with Chaim Taub. Itamar Golan has received scholarships from the America Israel Cultural Foundation several times. He continued his studies at the Manhattan School of Music from 1991 to 1994. Itamar Golan concentrates almost exclusively on chamber music: His chamber music partners have included Barbara Hendricks, Maxim Vengerov, Tabea Zimmermann, Ida Haendel, Shlomo Mintz, Julian Rachlin and Sharon Kam. He regularly performs at important international music festivals such as the Ravinia, Chicago, Tanglewood, Salzburg, Edinburgh, Besançon, Ludwigsburg, Verbier and Lucerne festivals. Itamar Golan has already appeared as a soloist with the Israel Philharmonic Orchestra and the Berlin Philharmonic under Zubin Mehta. He also teaches chamber music at the Paris Conservatory.